CAPITOL HILL – Next month’s Pentagon budget request to Congress will include a 30-year shipbuilding plan, Navy leadership said today. The Navy in recent years has written 30-year shipbuilding plans that outline upcoming ship procurement and decommissionings to give a detailed idea of what the fleet will look like in the near-, mid- and long-term. Though the plans lose fidelity in the out-years, they are still helpful planning tools for industry, lawmakers, analysts, the media and more. However, the Navy did not release a 30-year plan with its Fiscal Year 2018 or five-year spending projections. Navy Secretary Richard V. Spencer promised during a House Armed Services Committee hearing today that “yes you can” expect a 30-year plan with the FY 2019 request, which is set for release the first week of February. [button link=”The Navy in recent years has written 30-year shipbuilding plans that outline upcoming ship procurement and decommissionings to give a detailed idea of what the fleet will look like in the near-, mid- and long-term. Though the plans lose fidelity in the out-years, they are still helpful planning tools for industry, lawmakers, analysts, the media and more. However, the Navy did not release a 30-year plan with its Fiscal Year 2018 or five-year spending projections. 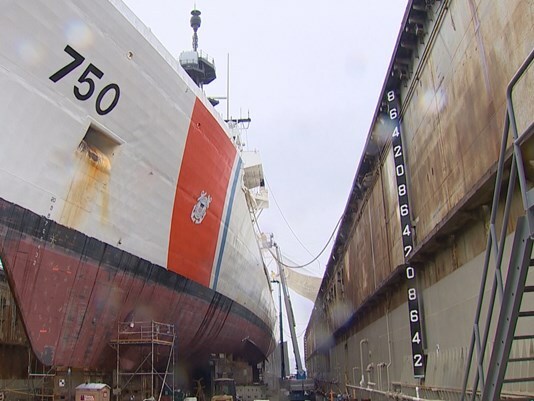 BREMERTON — The defense budget passed Friday by the U.S. House of Representatives includes help for local shipyard workers and veterans. U.S. Rep. Derek Kilmer, D-Gig Harbor, secured an extension of overtime pay for Puget Sound Naval Shipyard workers who conduct nuclear maintenance on the aircraft carrier USS Ronald Reagan in Yokosuka, Japan. Payments would continue through Sept. 30, 2019. SEATTLE – The shipyard that boasts the largest dry dock in Puget Sound, which services Washington state ferries, is looking to expand. A dry dock is like a floating elevator that lifts ships up out of the water for repairs. The dry dock at Vigor Industrial’s shipyard on Harbor Island offers a space 560 feet long by 95 feet wide, but one in that size range is no longer considered enough. Like a quasi-submarine, a dry dock partially sinks, allowing a vessel to be floated in, then raised up as water is pumped out, so the bottom and things like propellers, propeller shafts, and valves can be exposed, inspected, and worked on. Once known as Todd Shipyard, Vigor both builds vessels and repairs them. Currently, the yard is constructing the third and fourth Olympic class 144 car capacity boats for Washington state’s ferry system. As it is, the fourth ferry is the final new boat on order. Further orders from the state will depend on an upcoming strategic plan review, which could set a course for future ferry construction. Yo! Philly. The region’s only commercial shipyard is getting a new name: Philly Shipyard. Aker Philadelphia Shipyard said Thursday, after its board of directors met in Oslo, Norway, where parent company Aker ASA is located, that the Aker name is going away and that the yard will be called Philly Ship-yard, pending shareholder approval in October. The name change was announced when second-quarter earnings were reported. A public company listed on the Oslo Stock Exchange, Aker posted second-quarter revenue of $83.7 million, compared with $60.3 million in the same period last year. Net income for the latest quarter was $1.9 million, compared with $1.5 million the year before. The board approved a quarterly dividend of 25 cents a share to be paid on July 31. Aker said it has an order backlog worth about $849 million to build new ships. Five product tankers are under construction. The company employs about 1,100 at the Navy Yard in South Philadelphia. Since last year, the majority owner of Aker Shipyard, Converto Capital Fund, an investment fund owned by Aker ASA, has been exploring “strategic initiatives” for the shipbuilder. Building ships that use liquefied natural gas (LNG) as fuel “continues to be a consideration for potential owners,” Aker said. Aker also announced Thursday plans to divest its ship-owning investments in a joint venture with Crowley Corp., and a venture with American Shipping Co. called Philly Tankers, for a total of eight product tankers with a contract value of $1 billion. Aker said it expects that “two potential sale transactions” will be finalized in the current third quarter. The company did not disclose the name of the buyers. “These assets provide a mechanism” for the shipyard “to achieve returns on the ownership, chartering, and operation of the vessels it builds, in addition to returns on traditional shipbuilding activities,” the company said in its earnings statement. Kristian Rokke, the shipyard’s chairman, said, “The planned divestment of our shipping assets will show that we have created significant shareholder value and will greatly focus the business going forward. 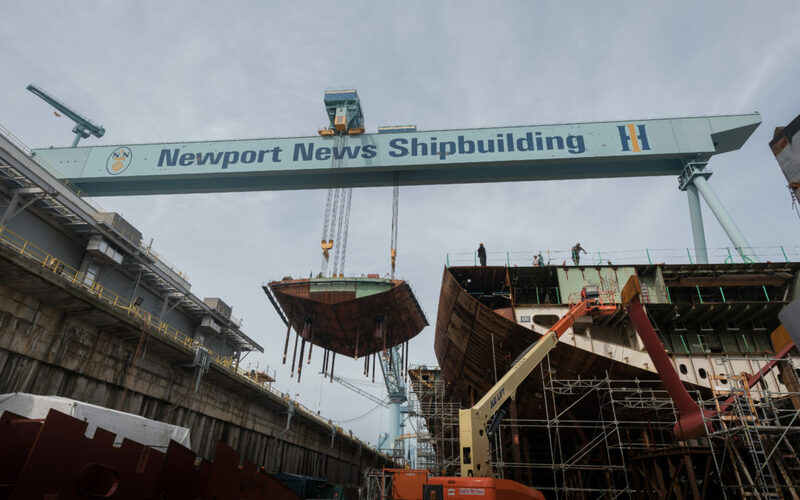 “While we remain opportunistic in our investment approach, the name change comes at a natural time and will better illustrate how the shipyard connects with its stakeholders as a strong, stand-alone Philadelph-ia-based company,” Rokke said. Aker has orders to build ships through December 2018 at the Navy Yard in compliance with the U.S. Jones Act, which requires all vessels shipping cargo between U.S. ports to be U.S.-built. Formerly Kvaerner Philadelphia Shipyard, the commercial yard opened in 2000 on the site of the shuttered Philadelphia Naval Shipyard. The yard delivered its first ship in 2003 to Matson Navigation Co.
WASHINGTON, DC–As the labor representative for workers at the major shipyards building Naval vessels in the U.S., I am deeply disturbed by the allegations that Austal, USA violated the False Claims Act. For years, the Metal Trades Department has suspected that the company is abusing the Alabama Industrial Development Training (AIDT) center by garnering state and local tax incentives while failing to properly train prospective employees. The legal allegations brought forth in the June 2014 lawsuit filed by the Gardner Firm PC, only further justifies our concerns. As reported by Law360’s Jacob Fischler in Ex-Workers Say Navy Shipbuilder Faked Employee Records, the “employees were sometimes misrepresented as supervisors to skirt government provisions about how many supervisors were required per shift, as well as to boost their reimbursement potential.” We believe that this type of misrepresentation is rampant at Austal, USA. Employees at Austal have had their voices ignored repeatedly. Our representatives have expressed concern to the Navy that these practices might be happening. We were not kept abreast of what, if any, action was taken by Navy personnel. This company has violated U.S. laws, fired employees who complain. As outlined in the lawsuit, three of the five relators—those named in the suit—were fired after reporting the alleged fraud to supervisors. The environment of intimidation and fear has caused most to keep their head down for fear of losing their jobs. 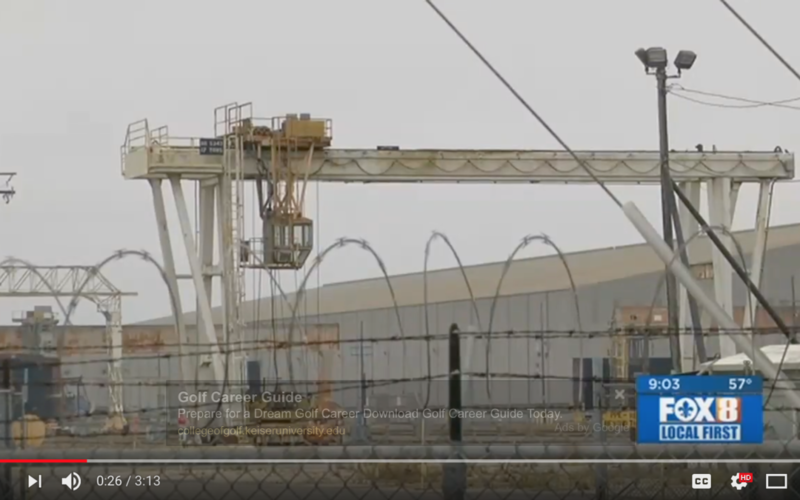 These new accusations, as well as the repeated OSHA citations issued to Austal, USA shows the callous disregard this company has for both U.S. regulations and its workforce. The U.S. Navy and the hard-working men and women in our shipyards deserve better.